The impact that stress can have on leaders, entrepreneurs, and their teams can be so great that it can let all the air out of the balloon. 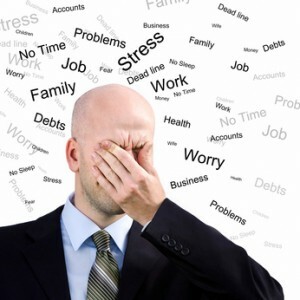 A recent survey showed that 40% of all workers say that their job is very stressful, 26% say they are very burned out. A quarter of people see their job as the number one stressor in their lives. Has life gotten more stressful? What can this mean for you in all the critical roles of your life? Alex admits to having the most stressful job so far in her career, but she has found ways to manage it. Stress is the harmful physical and emotional responses that occur when the requirements of job do not match the capabilities or the resources or the needs of the worker. It can lead to poor health and injury. People blame a lack of balance between work life and personal life. Boundaries are important to achieving this, as we can't possibly keep monitoring all of our relationships while we are in one place or the other. You need a support network at home and work. Friends and coworkers. People who tend to be social could have a bigger support network. Is this an advantage for extroverts? Alex suggests that introverts could have deeper relationships. In either event, they have to be people that are willing to help you. And you need a relaxed and positive outlook. Bob mentions this is also physically evident by whether the corners of your mouth turn up or down. Type A personalities tend to be more stressed. Bob's list of Type A statements suggest that many of us can be susceptible to this. Maintaining the positive outlook can be tough for a Type A, as opposed to a Type B personality, or a Hearty Personality. On the job, the stressors include, log hours, the workload, your bosses management style, your boss not communicating well with you, and a total lack of support. Environmental conditions can also take a tool, including the ergonomics of the work place.